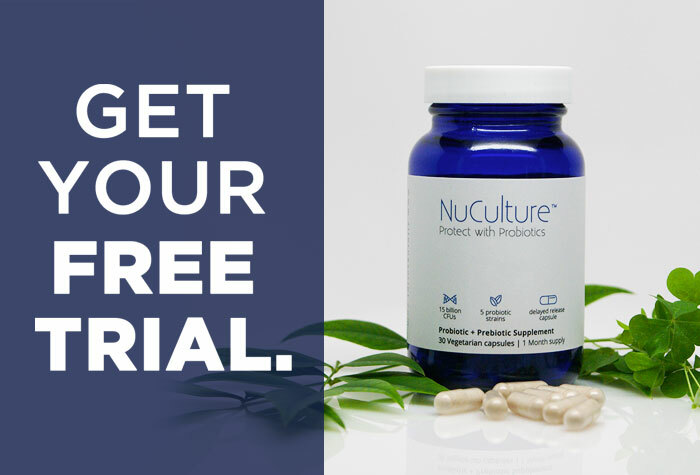 Start your free 14-day trial today to improve digestion, boost immunity, and reduce cravings with NuCulture - the probiotic of the future. What if I told you that you have two brains inside of you right now? That’s right, two totally distinct and self-operating masses. Point to your forehead. This is the location of the brain we all know about. Now from here, trace down the center of your body until you hit your belly button. It might be hard to believe, but you’ve just arrived at the location of your second brain. No, not your belly button. I’m talking about your gut. Up until now, you’ve probably thought of your gut as a simple blob that gets big when you wolf down a whole pizza, and growls at you when you haven’t had one in a while. But that doesn’t begin to scratch the surface of the complex world that’s operating in your gut everyday. 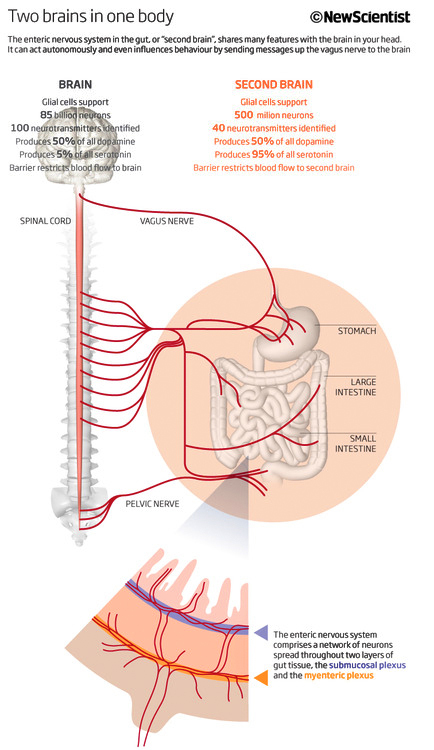 The gut is actually a series of intricate nerves and message systems that command the most significant functions in your body. You may already know that the gut controls digestion, but did you know that it’s also the command center for how you feel, if you get sick, what you crave, and even your decision-making! So if you want to feel great, you have to take care of your second brain. Now this part gets a little more scientific... When I say second brain, I’m referring to your Enteric Nervous System (ENS). 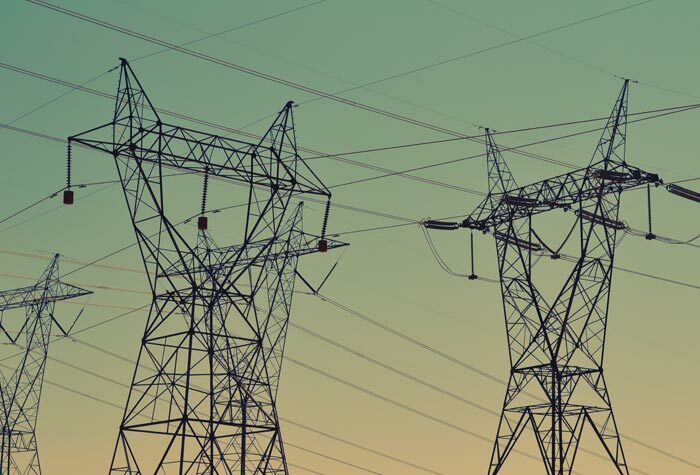 The ENS is made up of over 500 millions of neurons and is broken down into three major parts: the stomach, the small intestine, and the colon. When stretched out the ENS is a whopping 9 M long - that's about half the size of a bowling lane! It also contains more neurons than your spine and more nerves than run throughout the rest of your body. Researchers actually think that your second brain may be the original nervous system in early lifeforms. So, your second brain actually came before the brain in your head. These two brains are in constant communication with one another, but what makes it so shocking is that 90% of messages originate in the gut. This means that the gut communicates more with the brain, than the other way around. Discovering the gut-brain connection is incredibly exciting, but it would be a mistake to compare the two in a competition for who is more important. The more you understand about the second brain, the more you’ll realize that the two are more like close partners than distant relatives. "When a human feels healthy, it’s because the two brains are working in a perfect partnership and are hearing one another’s messages with total clarity." Here lies the problem. The gut sends 90% of the messages between the two, but the brain in your head can override the messages and ignore them. When this happens, we either eat more than we’re supposed to or deny food when our gut is saying we need it. So we are either left overweight, underfed, or full of something our body never needed in the first place. A great example is how sugar hijacks your brain and tricks you into wanting more - despite a lack of nutritional value. Listening to your gut can be tricky when your brain keeps telling you to eat that snickers bar, but learning to listen to it will make a world of difference for your gut health and overall health. The folks over at New Scientist put together this chart for you to better see how this brain exchange works in action. Mind over matter? I think there’s a serious problem with the idea that we should prefer the power of our minds to the matter in our environment. This has led us to greatly under appreciate the strength and importance of the gut brain, whose primary function is to help us adapt to the outside world. Think of your head as the brain in charge of perceiving an environment, and your gut as the gauge which will indicate what food, chemical, and nutrient levels need to be increased or decreased in order to thrive in that situation. The relationship between the brain and the gut isn’t just a cute anecdote about biology; It’s reason to change the whole way you think about your own body. Let's face it, you have been missing a significant part of the big picture until now. We all have. You have to make changes if you want to give your body what it needs to thrive. If you want to overcome digestive problems and live efficiently, you have to build the healthiest gut possible. And with a healthy gut, your entire world can change. How Do I Make These Messages Stronger? You may have heard the saying that, “food is the best medicine.” Well, it's true. In order to have a healthy gut that can send clear messages to your brain, you have to fuel the gut with a diet high in fiber and good bacteria. Here are some of the best foods to throw into your cart next time you go to the store. Cruciferous Veggies: Broccoli, Kale, and Cabbage etc. Foods High in Insoluble Fiber: Artichokes, Lentils, Beans, and Leeks etc. Fermented Vegetables: Kimchi and Sauerkraut etc. What are in these Messages Anyways? The gut doesn’t produce reason or thoughts in the way we understand the brain to, but it certainly influences them. The gut is in charge of the fundamental body functions that decide the conditions of our everyday life. This is the most obvious one. There are 500 million nerve cells in the gut that send different signals based on our relation to food. The gut tells us when we are too full, when we are hungry, and when there is something in the environment that we should definitely not ingest. And of course, the gut signals to us when the stomach is full and needs to expel waste. Pretty essential huh? If we consume bad food and bacteria, our gut will send weak signals that get overwritten by the brain. In case you didn’t pick up on this, brain overwriting is really bad. This is exactly how weight gain or weight loss gets out of hand and we completely lose sight of what our body genuinely needs. If you want to have a healthy beach body that always craves the nutrients it needs, you have to start with the gut. Think back to when you were a little kid and said, “my tummy hurts” when you’re feeling sad. This is because, a large portion of the chemicals responsible for balancing your mood come from the gut. Serotonin is split evenly between the two brains 50/50, but a whopping 95% of all the serotonin in your body is located in your gut. How crazy is that? And now you can see exactly why, you instinctively hold your gut when you feel that your mood hormones have been thrown out of balance. 95% of the serotonin in your body is found in the gut. The gut is home to at least 40 neurotransmitters that impact our behavior, feelings, and self-esteem. In other words your hormones affect everything. If you keep experiencing uncontrollable mood swings of sadness and anger, taking care of your gut health could be the answer to centering your emotions and outlook on life. When you sense danger in your environment or feel anxious, blood circulates from your gut to nerve endings in your muscles. This is why many describe feeling “butterflies” in their stomach when experiencing stress. The gut gets rid of these butterflies by producing the hormone ghrelin to increase hunger, sparking the release of dopamine, which in turn reduces our levels of anxiety. Think of your muscles as the troops and your gut as their commander who screams charge when it's time to attack or dip. Your cells actually only account for 10% of your body weight. There are trillions of other nutrients and bacterial flora in your body that make up a large portion of the remaining cells. A lot of these bacteria, such as lactobacillus, are essential to your survival because they break down food and absorb the proper nutrients into your body. 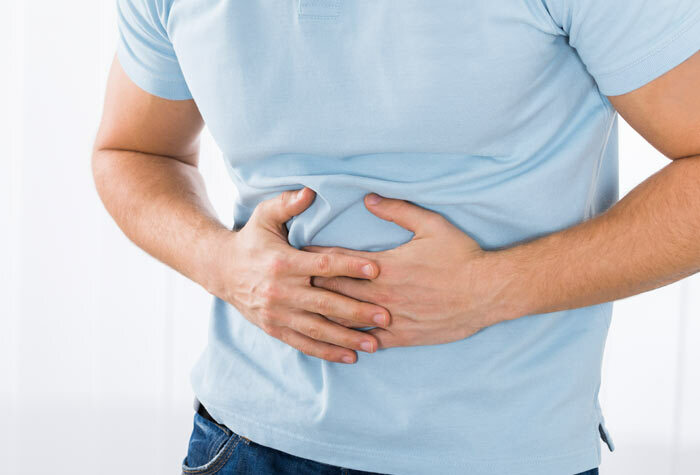 The gut is the main sorting center in which your system decides what to do with all of the bacteria and nutrients that you've digested into your stomach. This is why the gut is the epicenter for all things health. So you need to learn to identify good bacteria and load up on it. Seriously, go to town. It'll only make you and your gut happier. When you have an unhealthy balance of good bacteria and bad bacteria, your entire digestive system is thrown out of whack. If you want to counteract the digestive trauma caused by this imbalance, doctors strongly suggest that you add a probiotic to your diet. Even if you aren't experiencing symptoms, you'll benefit from taking a probiotic. It's like sending reinforcements in to battle any bad bacteria. There’s 1 small catch though. A lot of the probiotics you’ll find in the store are a total waste of money because most companies producing probiotics don’t research how to keep their probiotics alive all the way to your gut. NuCulture is an absolute exception to this trend and a crowning achievement in probiotic technology. It's clinically tested to give you over 15 billion CFU’s (colony forming units) of thriving bacteria that stay alive long after they've arrived in your gut. It even contains a new and revolutionary prebiotic, PreforPro. Here's how it works: NuCulture is in a time release capsule so everything is safely delivered past your stomach acid. 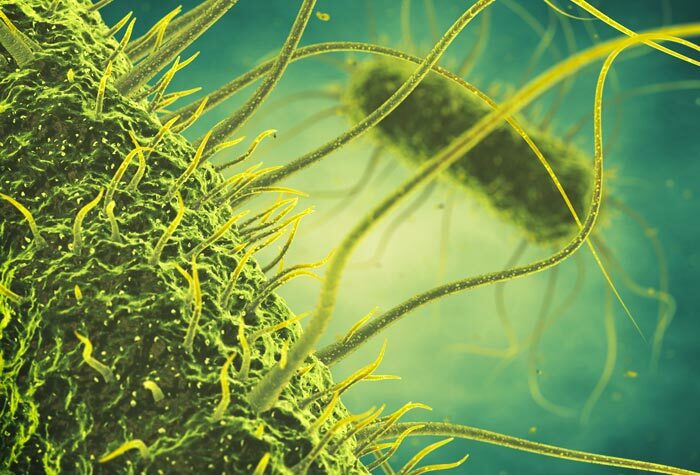 PreforPro is released as the front line of defense which knocks out bad bacteria in your gut. This creates a clean and ideal foundation for the 5 clinically studied probiotic strains to make their home in your gut. And unlike other brands, NuCulture is packaged with the exact clinical dosage of each powerful probiotic strain, so you aren’t getting short changed on any of the nutrients you need to build a perfectly healthy gut. So I guess there's more truth to the saying: Follow your gut.